Fractures of the vertebrae in the spine are common, painful, and serious. One of the most common bone diseases in the United States, compression fractures occur close to 2 million times a year, and most cases are related to osteoporosis. Even worse, many results in chronic pain. While conservative treatments work for some, many patients’ pain remains significant and constant. 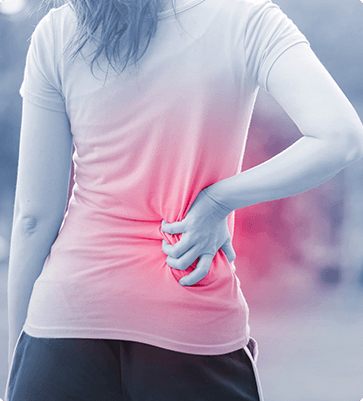 At Louisiana Pain Care, we offer leading-edge treatment that can relieve the pain of vertebral compression fractures, while stabilizing the spine, and helping to minimize other health consequences. Vertebroplasty: In this minimally invasive procedure, an injection of special surgical cement into the vertebral body fills in the fracture and stabilizes the spine. Kyphoplasty: For significant fractures, kyphoplasty may be the procedure of choice. Also a minimally invasive procedure, it involves using a catheter with a small balloon to be inflated inside the vertebra, which increases the vertebral height before the special stabilizing cement is injected. If you’re looking for relief from osteoporosis or its complications, like vertebral compression fractures, come talk to us. Call the pain management specialists at Louisiana Pain Care in Monroe or Ruston at (318) 323-6405 today or use our online appointment request form.